Open the instrument panel lower compartment to the full open position. 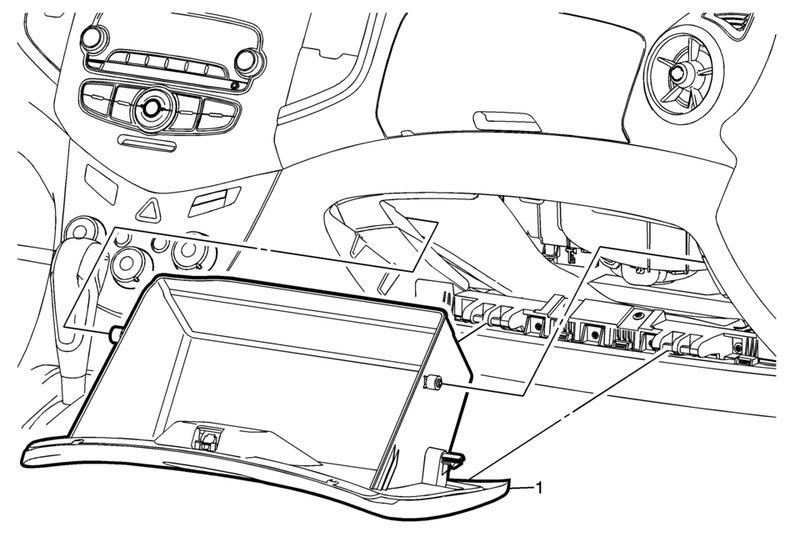 Disconnect the instrument panel compartment dampener from the compartment assembly. Squeeze the sides of the compartment assembly and allow the compartment to move past the compartment stops. Unsnap the compartment assembly from the instrument panel assembly. When replacing the instrument panel lower compartment, transfer all necessary components.